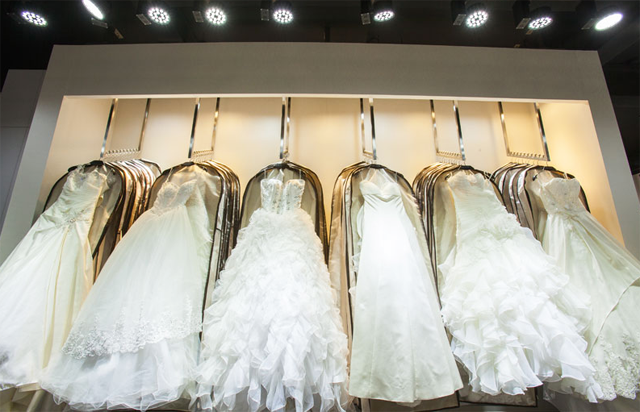 I think besides gown variety, what most brides look out for when choosing a bridal studio is reliability. 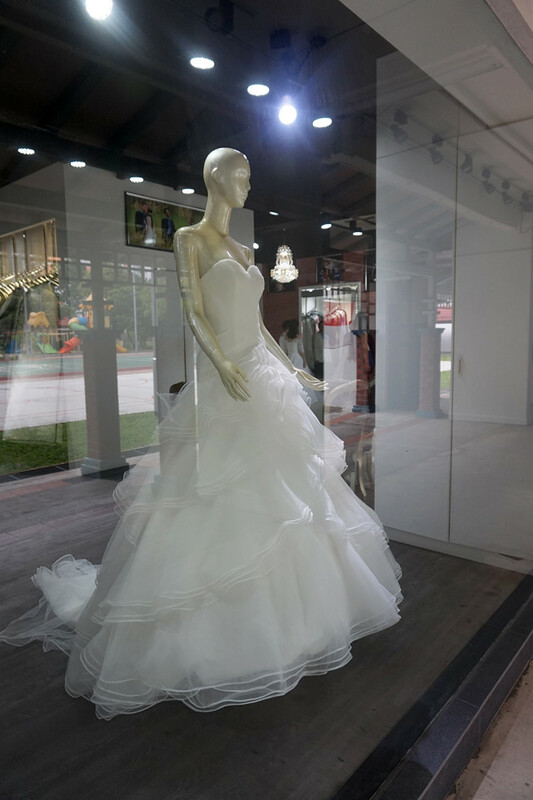 Seletar Broadway Bridal Studio has been providing bridal services from their standalone shop in Ang Mo Kio since the 1980s, with almost 40 years of experience in the local wedding industry. 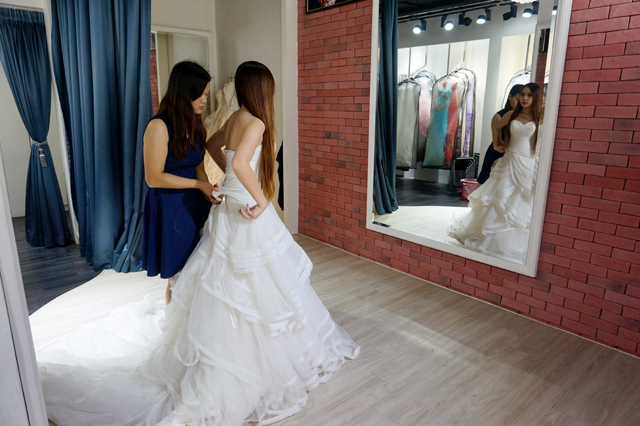 Also because it's not located at the strategic Tanjong Pagar stretch where most brides go to look for a bridal studio, its clientele grew mainly through word of mouth by satisfied couples. Besides local photography services, they have also arranged overseas shoots for many couples, including popular destinations like Taiwan, Australia, and recently, Korea. 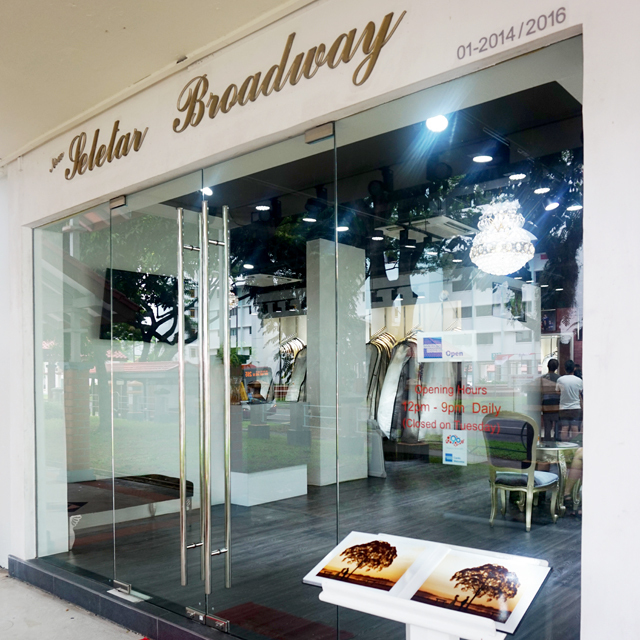 Our upcoming trip to Korea for our photoshoot was arranged through Seletar Broadway! I've seen the sample photos from the team in Korea and I love the style very much! This gown at the window display caught my eye the moment I entered! Although they offered to take it off the mannequin for me to try, I didn't want to trouble them. Maybe I'd try it when selecting gowns for the actual day! 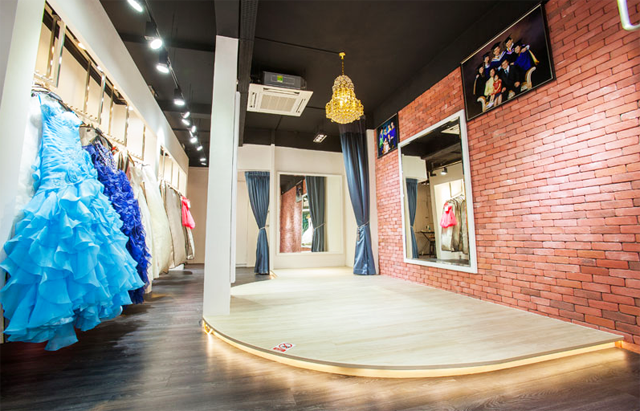 The ground floor has a section for gowns, consultation, and changing area, while the second storey is the studio, dressing and makeup rooms, waiting area, and offices. I remembered how wowed I was when I first visited the studio.... So many different background selections to choose from! 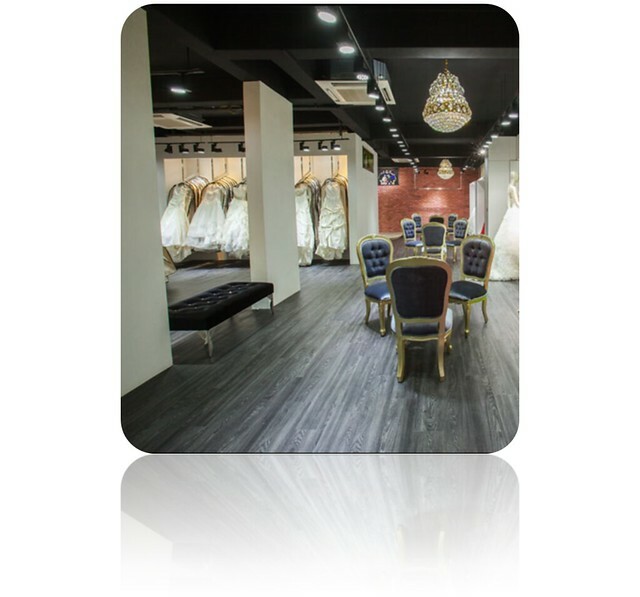 Spacious area to try gowns! Gowns are so big and heavy, it's really important to have a comfortable space to look at the gown from all angles. Especially for brides who bring down friends or family for gown selections. I was initially worried that I wouldn't find any gown I like but I was so wrong. The choices were so overwhelming that I ended up with too many that I like!!! I only briefly scanned through the catalog and pointed out some nice designs, and just like that I already had 18 pieces to try! Quickly closed the catalog in case I choose more. Hahaha. I'm sure I missed out many pretty designs! Please don't be too ambitious like me because by the fifth or sixth change I was tired already. I was like, omg why did I pick out so many??? Hahaha. 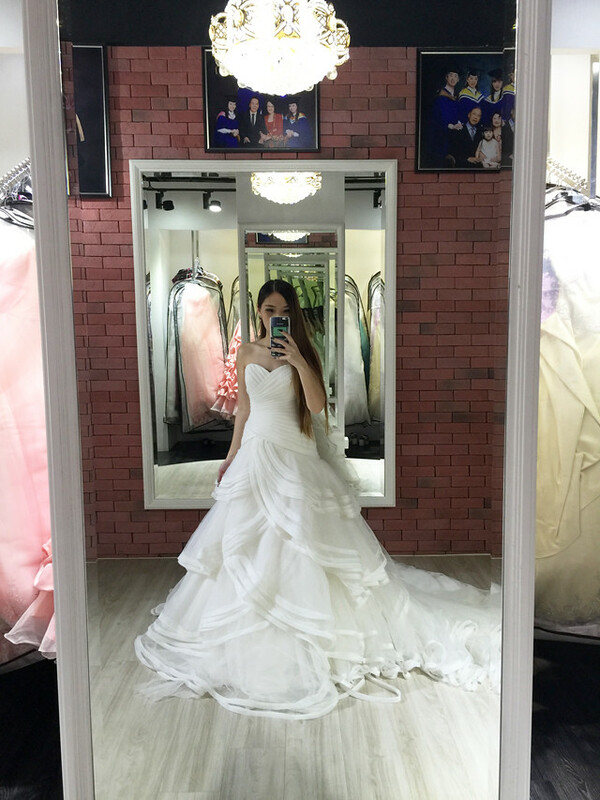 My first white gown, and I'm already in love. 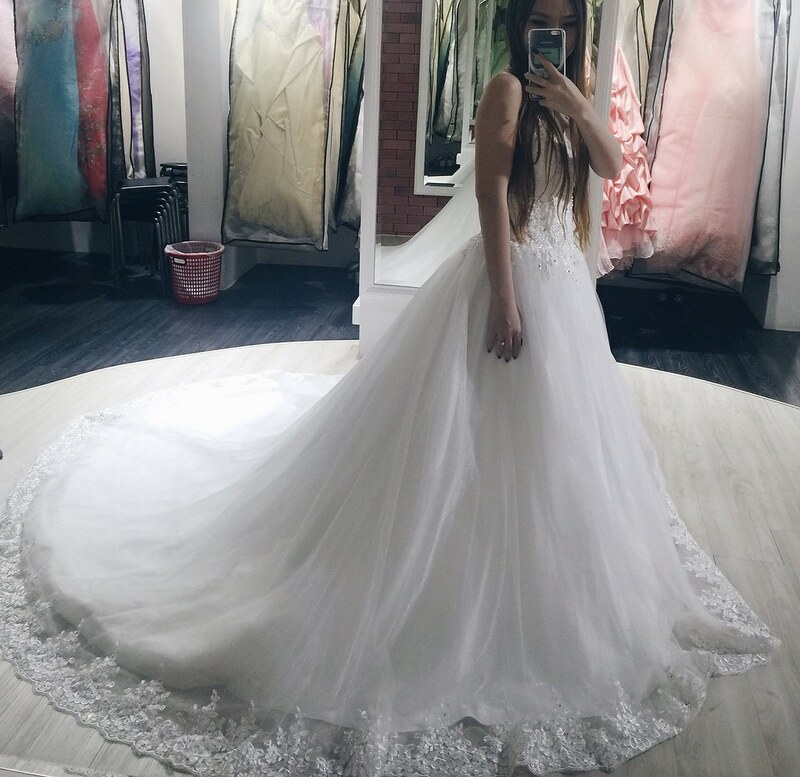 I read about how some brides try on so many gowns before they found THE ONE, I can't believe I actually found it so fast?? I call this dress the cake dress because of the princessy tiers. I've never thought I would like layered ones but I think I really look good in this! Both my bf and sister agreed unanimously too! I immediately confirmed this for my prewedding shoot. Almost wanted to reserve it for the actual day but was told that the bridal studio will have new designs coming in nearer to my wedding date. I knew right from the start I wanted something simple and classic, something that can withstand the test of time. Still, I went ahead to try a mermaid cut! But the saying is true, not every girl can look good in mermaid gowns... Everybody said it emphasized my hips! I look best in sweetheart neckline ball gowns. Almost all my selections are of the same cutting... Haha. I also tried some bling bling designs. This one was rejected by bf and my sister but I kinda like it though.... Especially the long and embellished train! 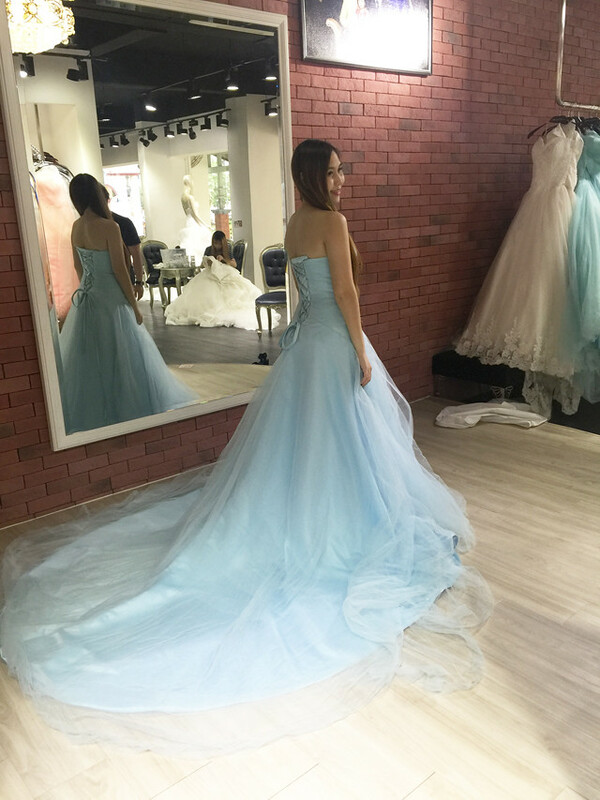 Will not be sharing photos of all the gowns I tried.... Wait for my prewedding photos! Most of the gowns may be altered to suit different body types. The back part can be easily loosen up to fit plus size ladies, or tightened for petites brides. 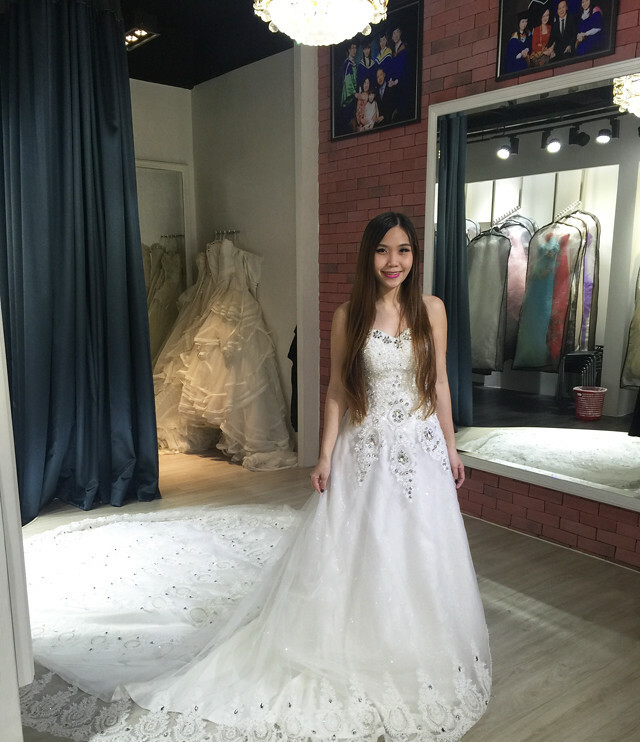 If you are looking for a trustworthy and affordable bridal studio, do check out Seletar Broadway! Call to enquire or make an appointment. Quote my name if you want! Hey! You are looking gorgeous in red gown. 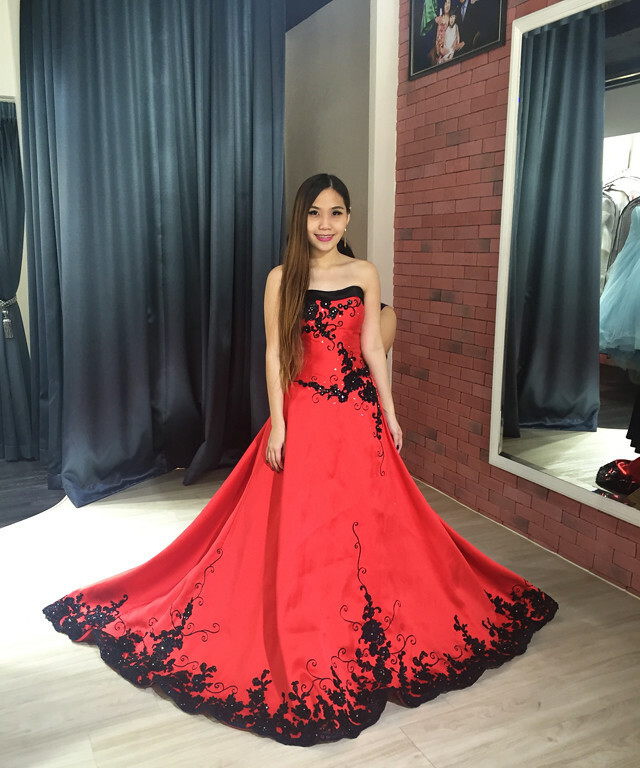 Looking Gorgeous Babe, checkout your more dresses at zalora sg.